Transform your 2013-Up Hyundai Genesis Coupe's appearance completely by giving it curves that would make Christina Hendricks jealous. This kit also fits 2010+ Hyundai Genesis Coupe models fitted with a 2013+ front end conversion. 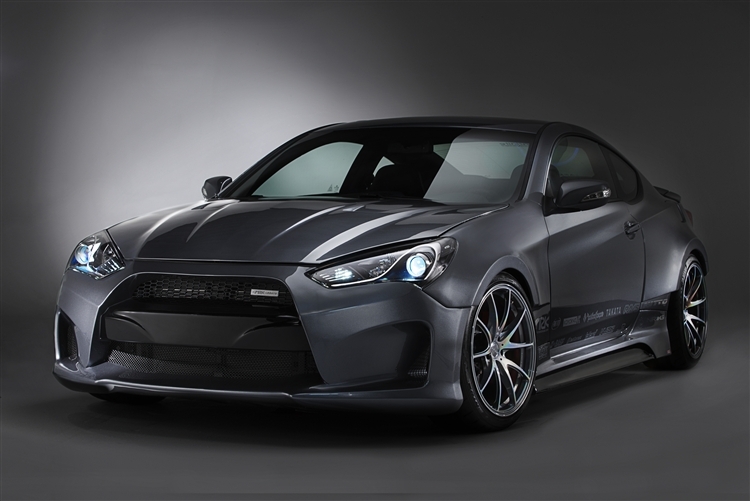 Featured at the Hyundai booth at SEMA 2013, this kit enhances the appearance of the Genesis Coupe, creating a more exotic, "Grand Touring" feel. Designed with this in mind, this kit's wide fenders also allow for a more aggressive wider wheel and tire setup. Available as a Front Bumper for Non-Widebody Cars or as Fenders Only for those who prefer a different front bumper. Produced in the highest quality fiberglass construction by ARK Performance, this high quality front wide body kit includes the front bumper and front fender extensions. 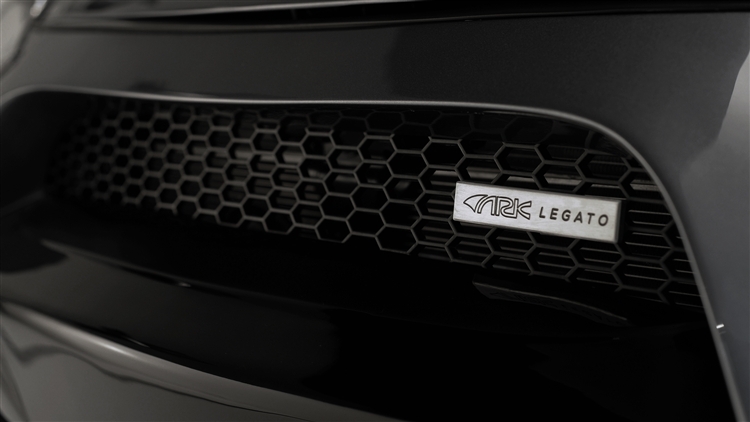 As an ARK product developed in conjunction with Hyundai, this kit offers a great fitment. 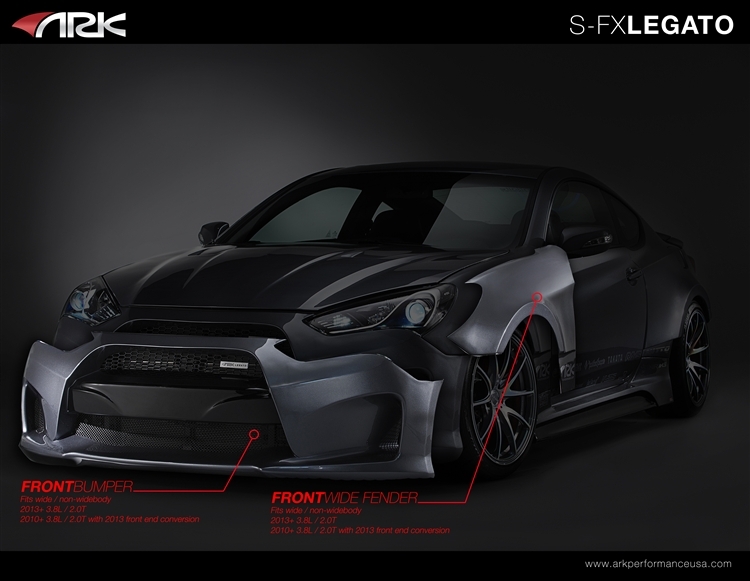 Questions about this Genesis Coupe Widebody Kit from ARK Performance? Our Modification Experts are standing by and available to help you, online or by calling 714-582-3330. ModBargains also offers expert installation and can install this upgrade for you. Call today!